Home - Česká telekomunikační infrastruktura a.s.
CETIN owns telecommunications networks located all over the Czech Republic. 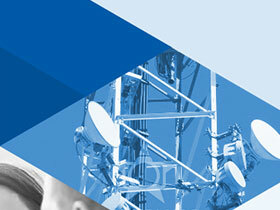 Investing in the future, CETIN continues to enhance its networks every day. CETIN offers mobile, data and voice services in the entire territory of the Czech Republic providing the most efficient, reliable and safest network to all providers. CETIN transmits voice and data to points of interconnection in mobile and fixed networks, provides call termination, International Data Line services, roaming etc. 99.6% of the Czech population is covered by the CETIN mobile networks (2G, 3G, 4G LTE); the company operates more than 20 million kilometres of metallic lines and over 42 660 kilometres of fibre optic cables for data. CETIN cooperates with developers in order to guarantee safe and functional telecommunications services for their clients. Pokračovali jsme ve výstavbě uličních rozvaděčů DSLAMů a umožnili tak více domácnostem připojit se ke Stabilnímu rychlému internetu. Novým generálním ředitelem a předsedou představenstva CETIN, bude od nového roku Juraj Šedivý.